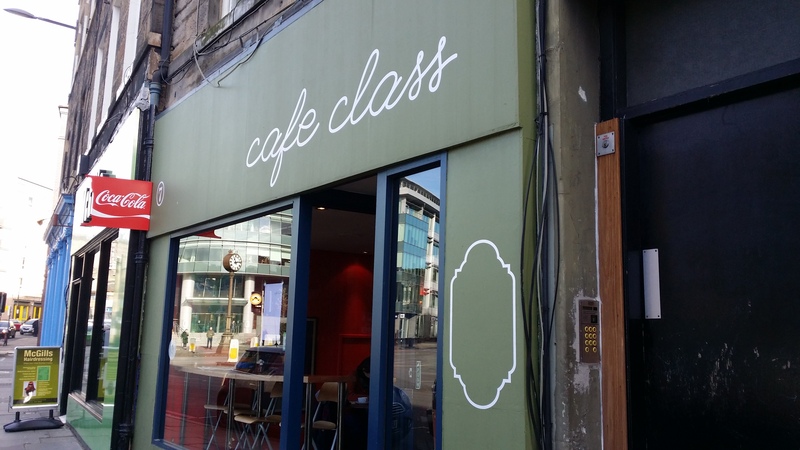 I’d made the trip to Tollcross with the intention of visiting Cafe Class on a couple of previous occasions, but had always ended up somewhere else, for one reason or another, until today. I’d clearly been missing out on a treat as I found it really very good. With an atmosphere that’s chilled yet welcoming and décor that’s high on coffee sacks and comfy furniture, the place has a really good feel to it. Service has a similarly understated charm, with attentive promptness throughout. The menu has a range of options across soups, salads, pastas, baked tatties, breakfast items, sandwiches and hot specials. Their salad range hooked me in so I opted for the warm chorizo variety, which was accompanied by potatoes, a profusion of rocket, shaved parmesan and red onion. It arrived looking quite bonnie. It was generous both in its portion size and in the amount of tattie and chorizo chunks that were dotted across the plate. 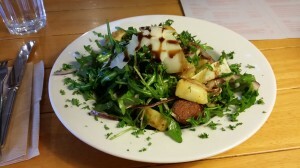 The lightly dressed leaves were fresh and peppery, the chorizo nicely crisped and the potatoes gave things a solid backbone. It was a very accomplished dish that I enjoyed muchly. I didn’t try the Artisan Roast coffee as I’d just come off the train from Glasgow, where I’d visited both Lab Espresso and Riverhill, but that gives me an excuse to revisit, not that I need one. 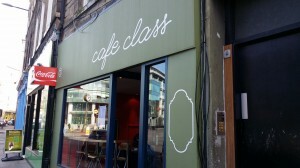 So overall, I was highly impressed with Café Class. The atmosphere of the place is wonderfully relaxing and the quality on offer is really good. I’d be happy to recommend you pay it a visit, next time you’re looking for well-crafted café fare.